There was no ringing planned today so instead I had a scoot around Cockerham way. It’s guaranteed to produce a good variety of species and sometimes excellent numbers of birds. I kicked off at Conder Green, where for an hour or more the place was alive with Swallows and Sand Martins taking breakfast. The cool morning produced a hatch of thousands of insects above the hedgerows and close to the water’s edge. The birds took full advantage as many took insects on the wing while others fed on the ground, almost as if they were collecting nesting material. It was hard to estimate the mass of birds, especially as some perched up in the straggly hedgerow briefly before returning to the bonanza. My best guess was 350 Swallow, 25 Sand Martin and 15 House Martin. Some of the House Martins were from across the way where they nest on the sides of at least two buildings close to the tidal creeks, the ditches that provide food and also mud for nest building. The House Martins here seem to have enjoyed a very productive year with upwards of 60 in air around the said buildings earlier in the week. Similarly, the colony of House Martins on a single house on our road in Stalmine-with-Staynall have done really well this year with more than 40 individuals on some days. At the end of the season the UK breeding bird stats will make for interesting reading to gauge the effect of the longest, hottest summer for many, some say fifty years. Despite the numbers of both swallows, martins and air-borne insect food, I didn't see a single Swift this morning; it would seem that many have now left for Africa. The midday tide began to run about 10am where it pushed a good number of mainly Redhanks into the creeks and onto the pool: 280 Redshank, 80 Lapwing, 3 Greenshank, 3 Curlew, 1 Oystercatcher, 3 Little Egret and 1 Grey Heron. On the pool otherwise were noted 12 Little Grebe, 6 Common Tern, 5 Greylag and 5 Pied Wagtail. Those dabchicks are so elusive. One second it’s there, the next it’s gone, made no splash or noise but slipped into the water as if its plumage were lubricated with WD40. As suddenly as it dived to leave just a ripple of water, so it reappeared, but never in the exact same spot, as if to tease the amateur cameraman. You must excuse me. I have a beef stroganoff to make and a bottle of wine to uncork. But never fear there’s more soon from Another Bird Blog. Linking this post to World Bird Wednesday and Anni's Birding Blog. Hello, love the Swallow and the House Martins. The Little Grebe is adorable. You dinner sounds delicious. Have a great day! Yum! Good work, birding and cooking! I'll truly be at your doorstep for dinner! Yum. Loved how you describe the grebe's slippery disappearing act...great photo. And super photo of the martin 'triplets'. You said it's cool there in the UK? Lucky you! Your dinner sounds great. Love the photo of the grebe. I know all about birds teasing the amateur photographer. Hope you're having a great weekend! Beautiful photos. 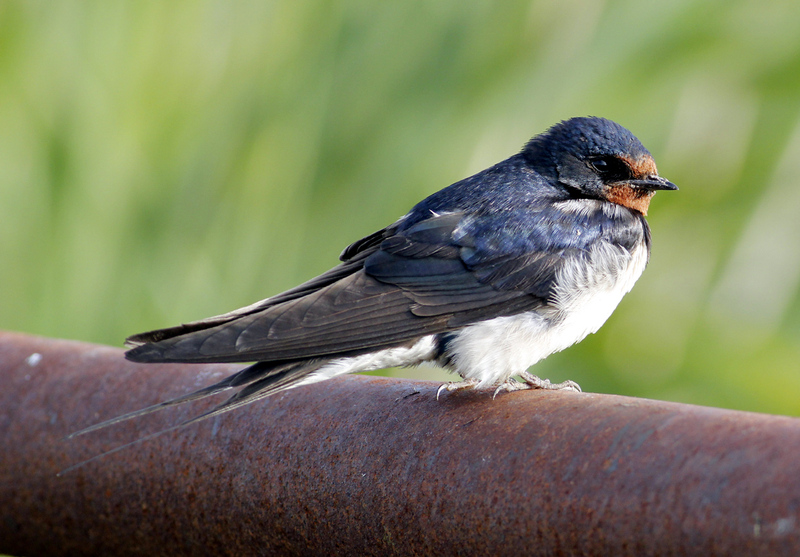 Love the Swallow. Nice-looking set up for that stroganoff! Hi Phil: I am away on vacation in eastern Québec right now. I will catch up with you when I get back home. 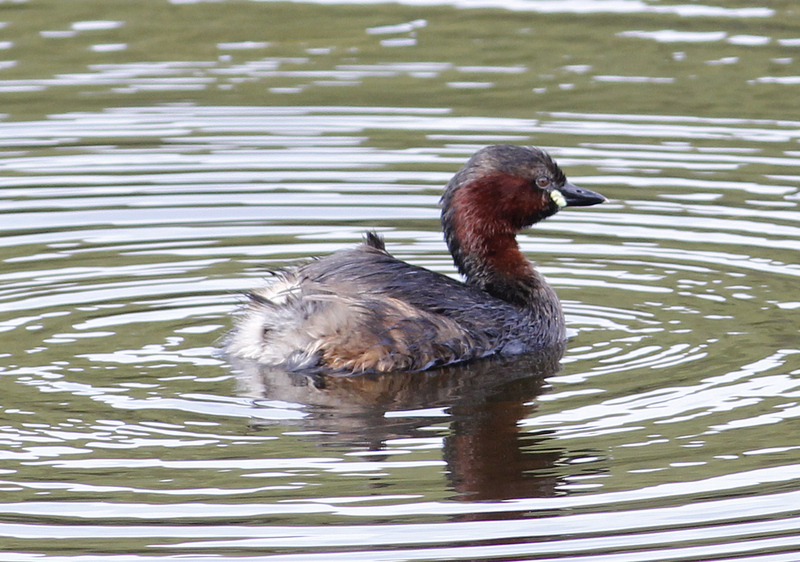 When we lived at the Lake, I took a lot of pictures of ripples where grebes used to be! Dinner looks great. It has been the poorest year for seeing Swifts that I can recall. Great bird photos and info - your stroganoff made me hungry! Now I must go fix some humble food while dreaming of stroganoff. Is there no end to your talents. As always, great photos. I hope you enjoyed the stroganoff! Sounds delicious. Lovely seeing your bird photo's. Back home again! In terms of shots of ripples, bare branches, naked rocks, limpid pools, empty wires, where birds had been mere instants before, I have a fine collection, with images from every angle, in good lighting and in bad. Please feel free to come and visit at any time and we can sit for a few hours and watch them - wine and cheese provided, or popcorn and beer if you prefer. I love swallows. There are a bunch of them that come by my house quite often and I could watch them for hours! I hope you enjoyed your stroganoff!